doctoral student in philosophy at The John Paul II Catholic University of Lublin. Anna Mazurek updated their profile information. 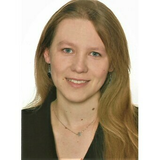 Anna Mazurek added interests methodology of science, philosophy of religion, philosophy of culture and more. Anna Mazurek changed their profile image.